Regardless of which keyword research tool is your favorite, they all have their own strengths and weaknesses and some of these recent questions and answers may help you get to the bottom of your keyword research challenges. I'd like to start with a few of the most common questions that I get asked from the Free SEO Tip of the Day readers and then we can expand on things from there. Can you tell me how a phrase that has no competing pages can have such a low KEI like the one above. I have found many phrases that have a low KEI and little or no competing pages. Each keyword phrase performs differently against its own search landscape depending on the competitiveness of the industry. So, use KEI as a quick method to bring the best windows of opportunity to the top, but that's all. Then forget about KEI and start focusing on how competitive the phrase is and how useful the phrase is. Can the phrases you are considering actually be used intelligently and relevantly in your content? As a rule the higher the KEI, the easier your job will be. Does KEI give you a true indication of how competitive a specific keyword phrase is? Can I depend 100% on the KEI value as the best way to tell how competitive a phrase is? It is one way to help you sort results, but it is not the only way that should be considered. How many results returned for a specific phrase is not a dead accurate number to determine how competitive a keyword phrase is for SEO. Results will vary from keyword phrase to keyword phrase AND depending on the specific industry and search landscape for that search industry. I have enjoyed reading your series of teachings on Wordtracker and especially appreciate the aspect of researching the user "search behaviors" as opposed to the traditional keyword research approach. From time to time though, I get stumped on finding certain keyword phrases because of Wordtrackers smaller sized data base that pulls from the Meta Crawlers such as Dogpile. Is there anything I can do to replicate the keyword forensics aspect using some other tool? Not at this time, that I am aware of. Wordtracker still rules for "keyword forensics" or exploring the hidden user behavior that most people miss entirely. Remember that the goal of keyword forensics goes beyond researching just the higher traffic related terms. Keyword forensics also helps you in finding those phrases that "tell a story" about the circumstances that exist in the users life that cause them to search the Internet in the way that they do. Most of the time the challenge is in the way we think about "keyword research." However, in cases where you really feel stumped, another very cool way to expand on those phrases (in certain cases) where you feel like Meta crawler results just don't meet the need, is to consider searching for your phrases from actual Google data (which currently has 67% of the market share.) There are inexpensive tools that will allow you to apply much more accuracy to that massive data from Google which will often reveal many more new phrases that you did not know even existed because they simply are not searched within Meta Crawler data. Watch this short video demonstrating SEO Sniper which is a powerful new tool by Michael Marshall that requires no monthly membership. John, is Keyword Discovery is the best tool you recommend for researching keywords in other languages? Absolutely. Keyword Discovery is an excellent tool for keyword research in English plus Dutch, French, German, Italian, Spanish and several other languages. While I have written multiple articles on how to use Wordtracker effectively, you need to be aware of some of the powerful features that Keyword Discovery offers too. Here is a previous Wordtracker - Keyword Discovery Comparison Matrix which many have found helpful. I will share more information on these subjects in the future too. 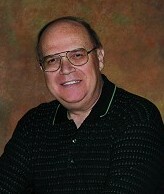 John Alexander is Director of Search Engine Academy with SEO training centers located across North America and Asia. Together with his partner Robin Nobles, John is also Co-Director of Training for Search Engine Workshops. John and Robin teach stress free formulas for obtaining top visibility on major search engines to workshop students from all around the world since 2002. John and Robin also operate an online community for professional search engine marketers called the SEO Workshop Resource Center. John is the author of the Wordtracker Magic E-books Volumes 1 and 2 and author of hundreds of Free SEO Tips of the Day - Grab a tip every day - It's Free!